This weekend I ventured out to the mall with Matt to try to walk the baby out and to do some last minute Christmas shopping. Walking the baby out does not seem to be working for me! But I did find this sweater! And I am really love with it. It is not maternity I just had to go up two sizes. It is really cozy and I really just love the lace at the bottom. It just makes it really girly and different. It comes in a couple of different colors so I might get another one! I hope you all had a great weekend. I really just can;t believe Christmas in on Thursday. I hope you all got all of your Christmas shopping done. I did the majority of mine online this year. Which I will probably do from now on. The malls are just to crazy this time of year. 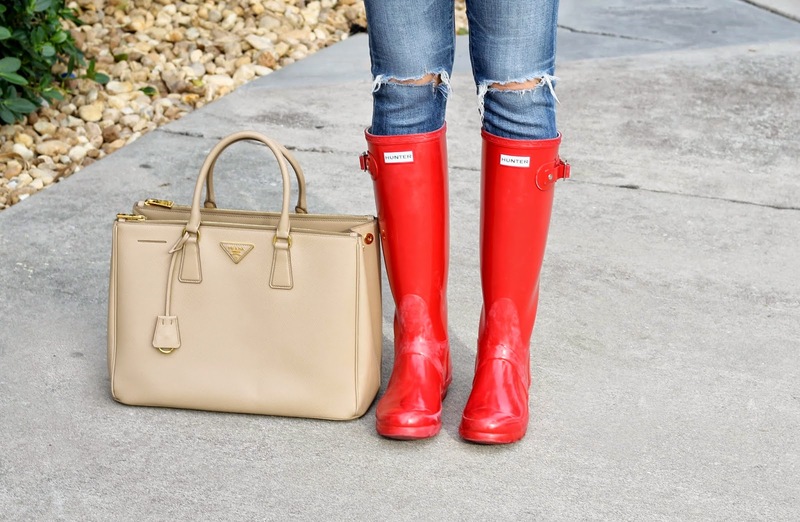 Don't forget to enter the Hunter boot giveaway here. It ends on Christmas Eve at midnight. Thanks for stopping by. Beautiful sweater and gorgeous statement necklace! This look is adorable! I love the combination of the lace and the pearls! Gorgeous sweater! I love how you styled it! I love the lace touch, so beautiful & feminine! Obsessed with this sweater and I love how you paired it with your Hunters. Gorgeous! I love your sweater!!! Such a pretty winter white with your cute Hunters!!! :) Hope you have a very merry holiday!!! Love your blog every single day! You let that sweet little bun stay in the oven as long as she needs. She knows when her birthday should be. You may not feel adorable, but you look it! Looking forward to the announcement... at the right time. Adore the pretty lace hem detail of the white sweater, so lovely! And the pearl statement necklace is so gorgeous too, chic design!